Though it’s been seven years since the last Cake studio LP, you can understand why it took the eclectic Sacramento, Calif., rockers so long to finish album number six. Like its predecessors, Showroom Of Compassion was self-produced, but for the new LP, the band members engineered it themselves in their solar-powered studio and released it on their self-run Upbeat label. And aside from gigging relentlessly, the group also organized the multi-genre Unlimited Sunshine Tours (which have featured bands as diverse as the Flaming Lips, De La Soul and Cheap Trick) and is currently in the planning stages for a 2011 UST. Cake—vocalist/pianist John McCrea, multi-instrumentalists Vincent DiFiore, Xan McCurdy and Gabriel Nelson and drummer Paulo Baldi—is taking to the road this week in support of Showroom Of Compassion, playing multiple nights in numerous cities. The band will also be guest editing magnetmagazine.com all week. Read our new Q&A with DiFiore. Vincent DiFiore: Sure, why not. 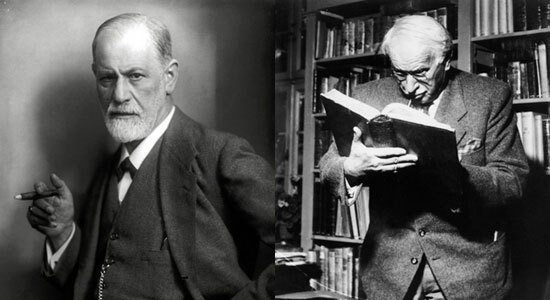 There is a David Cronenberg movie coming around soon about Sigmund Freud and Carl Jung. There will be a narrative drama involved, no doubt. Nevertheless, A Dangerous Method will get people thinking about Freud and Jung again. They truly did say something of relevance about us.